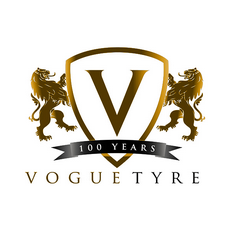 Vogue Tyre and Rubber Co. is an American company offering luxury tires, which was established in 1914. Vogue Tyre invented the whitewall and patented the gold stripe, which offers great aesthetics to the tire and is unique to their models. The brand uses contemporary technology and methods in their manufacturing processes to provide excellent quality performance and touring tires for high-end passenger, SUV and light truck vehicles.